NATO terminated these contacts in 2014 over the crisis in Ukraine. NATO’s Secretary-General Jens Stoltenberg has said that the alliance has made a decision to resume the procedure of convening NATO-Russia Council meetings for engagement with Russia. "We decided also to keep at the same time channels for political contact open. And the NATO Russia Council is part of these channels for political contact and dialogue… And I will now explore how we can use the Council as a tool for political engagement. We have never decided to not use it. And I welcome the support to then convene a Council, and we will look into how we can do that. I will do that together with the ambassadors, and I will come back on when and how this can be done." Earlier, Russian Foreign Minister Sergey Lavrov said in a radio interview contacts between Russia and the West were gradually getting back to normal and Russian delegates did not feel themselves in isolation at international events. He acknowledged that some formats of contacts had been frozen by the West. "The Russia-NATO Council is frozen. So are the sectoral dialogues with the European Union and in some cases, the activity of inter-governmental commission for trading and economic cooperation. But this process is returning to normal. The operation of these mechanisms is being restored," Lavrov said. Stoltenberg noted progress in the implementation of the Minsk peace agreements but said that the risk of violence resumption in eastern Ukraine remains. "Ceasefire violations have recently increased. 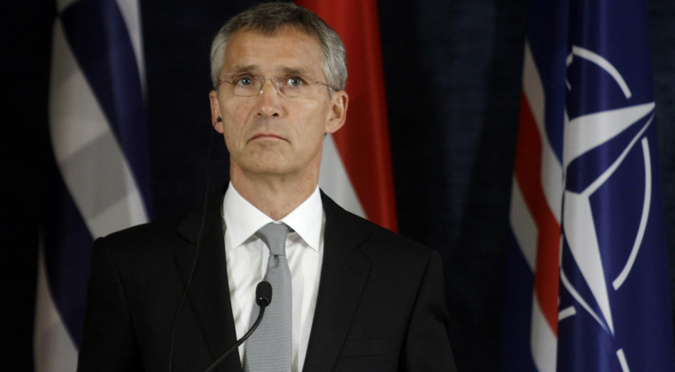 So we see a real risk of a resumption of violence," Stoltenberg said at the meeting of the NATO-Ukraine Commission. "There has been some progress on implementation of the Minsk agreements. But the situation is still fragile," the NATO chief added. Stoltenberg again urged the sides to implement the agreements reached in the Belarusian capital in full. "It is urgent that the Minsk agreements are implemented. And that they are implemented in full," he said.